If things were looking bad for Planned Parenthood a couple of weeks ago, they’ve reached catastrophic levels now. 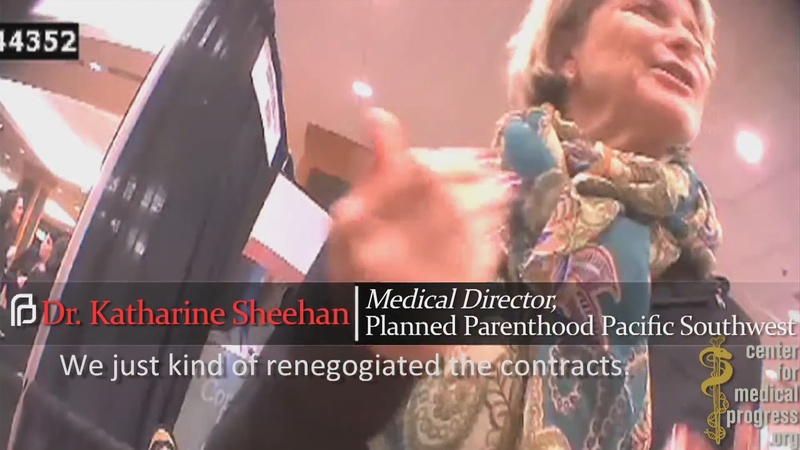 With the release of a third undercover video from the Center for Medical Progress, it’s becoming harder and harder for Planned Parenthood to defend themselves — after all, when executives are caught discussing selling the body parts of aborted babies over and over again, it becomes less and less plausible that the whole thing is a giant conspiracy cooked up by evil pro-lifers. So Planned Parenthood is looking for a new strategy… and that’s apparently asking the media to keep quiet on the latest video. According to Politico, SKDKnickerbocker sent the memo to unnamed “reporters and producers,” asking them to blackball the videos — the third of which was released on Tuesday. Even though Politico is the news outlet that broke the story, they’re apparently feeling pressure from Planned Parenthood, as well — they sent out a tweet acknowledging that the abortion giant is trying to cover up the video, only to then delete it. Plenty of media outlets are evidently more than happy to do what Planned Parenthood asks. The Huffington Post has not published anything about the third video, despite the fact that the scandal continues to trend on both Facebook and Twitter. Neither has Vox, Buzzfeed, Salon, Slate, or MSNBC. It’s pretty despicable to cover up breaking news that the public has a right to know about, considering that we fund Planned Parenthood through our taxpayer dollars, purely because these media outlets are rabidly pro-abortion. Once upon a time, journalists were expected to have principles. Apparently, that’s not true anymore.